Reduce your sentence or get the charges dismissed completely by calling our experienced firm. Our highly skilled burglary lawyer provides prompt and aggressive defense for your case. He works tirelessly to stand up for your rights and help you through this difficult time. Whether you have been charged with simple breaking and entering or aggravated burglary, trust our attorney to provide the competent legal counsel and representation you deserve. He is a burglary defense attorney who helps clients who have been wrongfully accused and those who are guilty of the crime with equal dedication. Come to an experienced, personable, and results-oriented burglary lawyer who takes the time to listen to your side of the story. He doesn't base his case simply on police reports, but takes time to investigate all the facts that are relevant to your case. After understanding all the details, he explains the charge to you, as well as what the law says about the crime. Our burglary defense attorney handles a variety of types of cases involving burglary, each of which requires a specific approach to defend. First degree burglary is breaking and entering into a dwelling with the intent to commit theft and a violent crime. When breaking and entering into a home or building in which other individuals are currently present but without the intent to commit violence, the charge is considered second degree burglary. If you have a gun, the crime gets categorized as burglary in the second degree with a firearm. Lastly, basic breaking and entering into an unoccupied building with no violent intent is considered third degree burglary. With more than 30 years of experience in the field, our larceny attorney has the knowledge and experience to mount the strongest possible defense. He offers complete representation and makes a robust case in order to maximize your chances of acquittal. When seeking legal representation, it’s important to select an attorney with a strong track record. Stephen F. Cashman has an impressive history of delivering results for his clients. If you've wrongfully taken something of value from another person without his or consent, you have committed larceny or theft. We never jump to conclusions when you've been accused of the crime. Instead, when you come to us for larceny defense, we thoroughly investigate your case to determine the validity of the claims. There are many degrees of larceny in the State of Connecticut. Our experienced larceny lawyer has provided expert legal defense for all types of crimes, including petty theft, embezzlement, extortion, shoplifting, and grand theft. There’s more than one side to every story. Too often, the voice of the accused is not heard in burglary cases. We sit down with you and listen, without judgement, to your account of what happened. 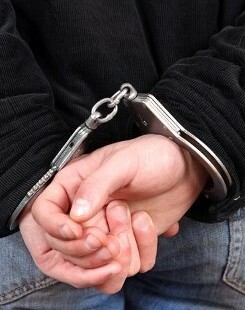 The more information you give us, the better chance our burglary lawyer has of building a strong case on your behalf. With enough information, we are able to fight to reduce the charges or even have them dropped altogether. If you’re case goes to court, we’ll be by your side every step of the way. We know what it’s like to go up against prosecuting attorneys in court. It is frightening and intimidating, but we provide all the preparation and support you need to get through the arraignment and trial. If you or a loved one has been charge with first-, second-, or third-degree burglary, you should call an experienced burglary lawyer as soon as possible. You’ll feel better knowing that you have a strong advocate fighting for your rights. Contact our law firm to speak with our larceny lawyer attorney if you or your loved one has been charged with shoplifting. We proudly serve clients in Hartford, Bloomfield, New Britain, East Hartford, West Hartford, Manchester, Newington, Bristol, Enfield, Windsor, Wethersfield, and Rocky Hill.